We fitted the Evo X twin scroll manifold and turbo along the necessary oilines etc. to the Lancer Ralliart. Since the block itself is pretty much the same, the downpipe etc. fits directly and the turbo upgrade is basically a bolt-on upgrade! 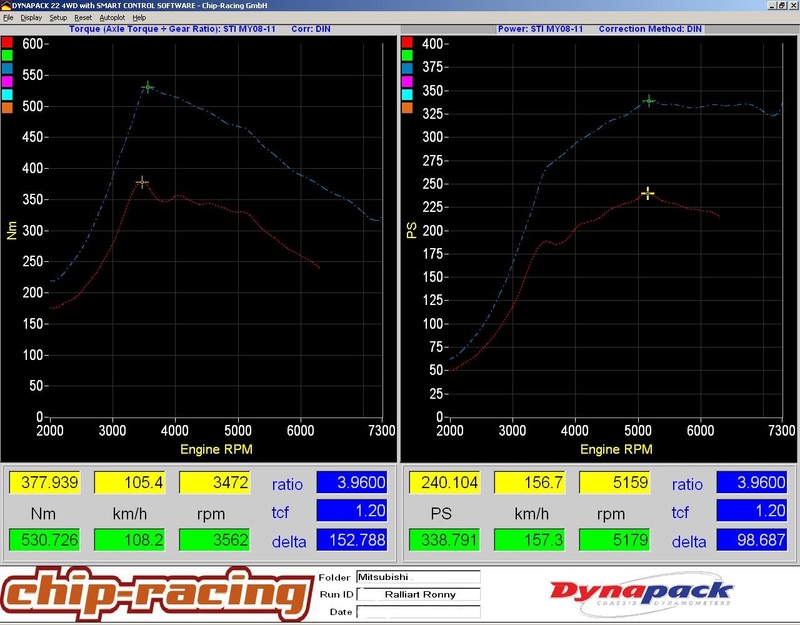 The big advantage of the big twin scroll turbo compared to the Lancers single scroll turbo is obvious! Even if the power output and flow is way higher it spools earlier and provides a huge usable powerband! An awesome, stealthy and low priced upgrade for any Lancer Ralliart!